This Sliced Tomato Salad celebrates the tomato and all of it's deliciousness. 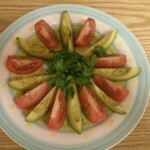 Makes a wonderful starter or side to any meal. 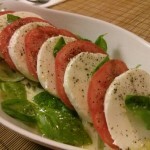 Slice tomato into ¼ - ½ inch slices and place on a platter. 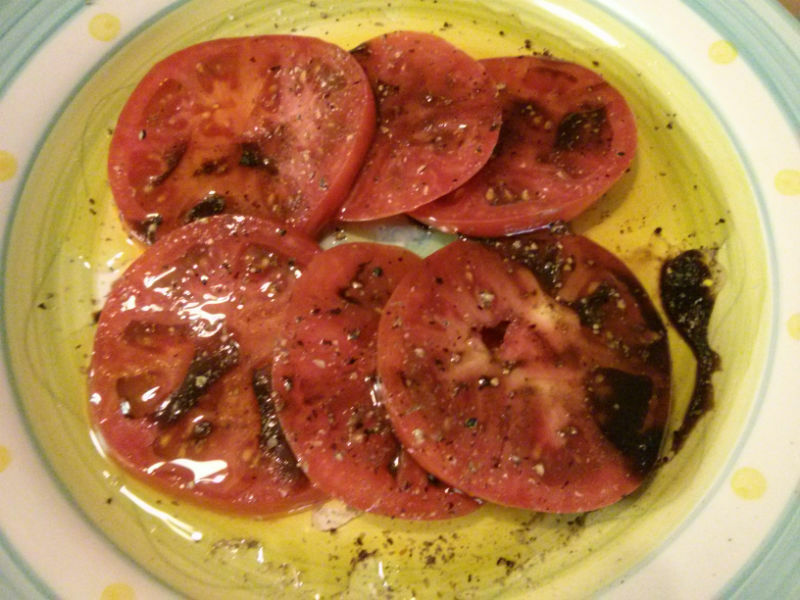 Drizzle olive oil generously over tomatoes. Add a few splashes of balsamic vinegar. Finish off with salt and fresh ground pepper. 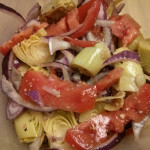 Filed Under Salads | Tagged balsamic vinegar, black pepper, olive oil, tomato. Bookmark the permalink.